How do governments push for privatisation of public property? The theory goes that first they neglect and starve the system of funds. When failing services spoil public perception, they accuse the institution of not working properly. The solution they suggest is to give the institution to private players. Here is a classic example of this theory. NITI Aayog, the government think-tank, has suggested running district hospitals on the public-private partnership (PPP) model because “the system continues to remain constrained with a set of systemic issues”. It has sent all states a draft copy of the model concession agreement and guide-lines, asking for their comments. Down To Earth has the draft copy of the agreement and guidelines with the letter sent to the chief secretary of Chhattisgarh, Vivek Kumar Dhand, on June 9. It gives a glimpse of the government plan. NITI Aayog has suggested that all states will allot part of state-run hospitals’ space to private players on a 30-year lease for setting up facilities with 50 or 100 beds. The private player that wins the bid will chip in with the capital cost, while the hospital authorities will provide free space, preferably at least half of it within the existing structure of the hospitals. The draft suggests a few criteria for the selection of hospitals, including the ones in Tier 2 or Tier 3 cities. The district hospital should have an average per day OPD of 1,000 patients or more in the past two years. Two types of patients may visit the facility under private management: those who are referred by the government and paid through government insurance schemes; and those who pay from their pocket. Thus, the private players will be paid for their services. NITI Aayog says it is involving private players for the sake of reducing the burden of non-communicable diseases (NCDs), as the PPP services will be created specifically for such diseases. Its logic is: “Despite concerted efforts at the national and state levels over the last few years in establishing the NCD service delivery network, the system continues to remain constrained with a set of systemic issues.” It says the key challenge is finding money to increase allocations for NCDs, build infrastructure in rural areas and hire specialists. These are the same concerns people have been raising for at least 20 years. Ravi Duggal, India coordinator of the advocacy group, International Budget Partner-ship, explains this neglect with facts. He says the 12th five-year plan had proposed `2,68,551 crore on health and family wel-fare but the final allocation was drastically reduced to `1,25,117 crore or a mere 46.6 per cent of the original planned allocation. Parliamentary Standing Committee on Health and Family Welfare had concluded in its report last year that if the entire allocation of the 12th Plan had been made available to the Ministry of Health and Family Welfare, it would have effectively strengthened district health systems. Duggal gives another example of fund deprivation. Now, the government is saying that 72 per cent of the population in rural areas and 79 per cent in urban areas seek health-care in the private sector (see: ‘Private takeover’,). Some states are already flirting with the PPP model. Rajasthan is one of them. The state has lately been on a spree to hand over primary health centres (PHCs) to private agencies under its “Run a PHC” scheme, says Chhaya Pachauli, senior programme coordinator at Prayas, a non-profit in Rajasthan. In 2015, the government issued tenders for PHCs in rural areas but found very few takers because there is no big scope for profit, says Pachauli. Through an RTI application, Prayas learnt in January this year that 41 PHCs in the state are being run by private players. Of these, 19 PHCs were given to Wish Foundation. Here the story gets complicated. Before inviting the tender for rural PHCs, the state had given 30 PHCs to Wish Foundation, which had committed to not take any money from the government. Later, the government decided to issue tender for 213 PHCs, where the government offered to pay money to private players. Wish Foundation requested the government to include the 30 PHCs it was running in the list of those going for the bidding. At that time the state government refused to do so. But the final results show that 19 hospitals run by the foundation have been included. Pachauli says this indicates corruption in the system. Rajasthan has now invited tenders for 50 PHCs in urban areas. This is the same state that had a flourishing model of providing free treatment to people in the previous government’s regime. Under schemes like Mukhyamantri Nishulk Dawa Yojna (MNDY) and Mukhyamantri Nishulk Jaanch Yojana (MNJY), patients in government hospitals were ensured free diagnostics and medicine. Pachauli says MNDY and MNJY were attracting more patients to seek healthcare from public health facilities. But rather than strengthening the public health infrastructure to cater to the increasing demand, Vasundhara Raje, soon after assuming the office of the chief minister in 2014, launched an insurance scheme. 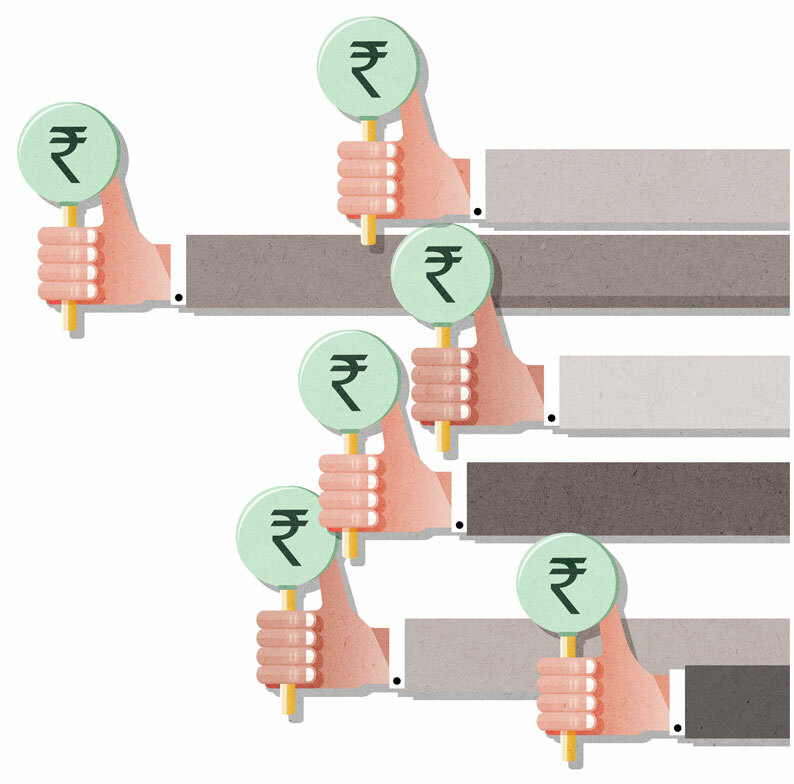 Bhamashah Swasthya Bima Yojana relies on private providers to deliver healthcare services. This was done despite the fact proven time and again that while health insurance schemes may increase chances of treatment, they do little in terms of reducing out-of-pocket expenditure. Madhya Pradesh is another example where the state government has been pushing for the privatisation of PHCs. Under the garb of reducing infant and maternal mortality, the state gave the Alirajpur district hospital to Deepak Foundation, a Vadodara-based Trust, with-out the tendering process. Amulya Nidhi, an Indore-based health activist, says the state government had a plan to extend this model to 27 districts. However, it withdrew the plan after a petition was filed in Jabalpur High Court. But the government has not given up on privatisation. On June 3, 2016, it signed an agreement with Tata Trust under Trans-form Rural India programme. The trust will work in six districts to improve health and nutrition. The same trust will be engaged in cancer treatment in Ujjain. The government has also proposed a help desk called Janani Shishu Suraksha Karyakram in a number of districts to be run on a PPP model. Karnataka shows what happens when PHCs are handed over to private players. Under the Arogya Bandhu scheme, the state government was to develop partnership with private players for running 52 PHCs. It signed an agreement with Karuna Trust in 2006 to manage 27 PHCs. The government was to provide financial assistance and the private players were to provide services. But after complains about the quality of service and non-compliance of rules, the government cancelled the agreement. Complaints made against Karuna Trust were quite serious. Sylvia Karpagam, a health expert in Karnataka who is writing a paper the privatisation of healthcare, gives a few examples. In December 2010, 286 inmates of Beggars’ Home in Bengaluru died at the Beggar’s colony PHC run by Karuna Trust. Several bodies disappeared. On September 16, 2014, the Department of Health and Family Welfare held Karuna Trust responsible for the spread of dengue in some of the villages covered by the PHC in Chandrabanda village of Raichur district. Visiting experts to PHCs found that doctors were not coming on time. It seems the minister’s comment and Karnataka’s experience have not made the NITI Aayog and the other states flirting with PPP any wiser. The BELIEF that private players can provide better healthcare services is the underlying logic for the government's unwillingness to appoint healthcare personnel at remunerative cost and provide them facilities if they serve in difficult areas. This is true for not only doctors, but all kinds of staff, including ASHA workers appointed under the National Rural Health Mission. Under the mission almost no permanent appointment was made; all were contractual. So you do not invest in human resource to run a public facility. Then, you argue that public services are not working and so, it is wiser to contract them out to private players. This flies in the face of the evidence in India as well as outside that privatising all public services never leads to better healthcare. When you look at the ideological position that the private sector is more efficient through the political-economic prism, you realise it is about selling public assets to the private sector. Classically, primary healthcare is not the area where you can make profit. 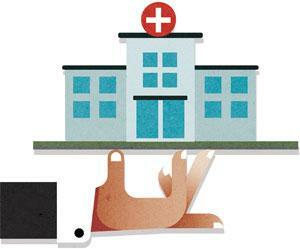 Secondary and tertiary healthcare has been under the control of the private sector for a long time in India. Now the private sector has found a new avenue of profit-making which extends not just to health centres as earlier, but to primary healthcare services as well. It is not about how much profit they will make through the PHCs being contracted. They are going to use this opportunity to source patients, who can then be put into their private system in different ways, like through diagnostic tests. This thus becomes a source of drawing patients not into the contracted system, but into the private one. This story was first published in the August 1-15 issue of Down To Earth magazine.